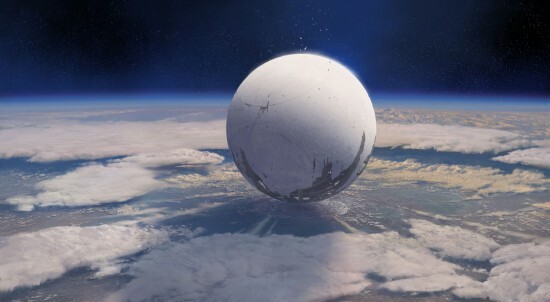 Although there has been no date for launch officially released for Destiny, it has had a lot of coverage in recent months and there seem to be a lot of questions surrounding the release that remain unanswered, at least for the time being. Bungie, the developers behind the game in association with Activision, have been careful to avoid labelling the game as an MMO instead describing it as an always-online FPS that will incorporate MMO elements referring to it as a ‘shared-world shooter’ because it doesn’t follow all the traditional elements of an MMO game, e.g., you won’t be able to see and interact with all players on your server, instead you would be matched up with other players by the game which will be driven by a brand new game engine which builds upon Bungie’s ‘hopper’ technology that has been used within the Halo games. It is expected that Destiny will be a cross-platform game being released for the XBox360 and PS3, perhaps even the next generation consoles, particularly the PS4. Bungie have definitely stated that Destiny will definitely have a presence on these new generation consoles however they have not yet stated whether this will be in time for launch. Also, as a PC gamer I was interested in Destiny being released for the PC market and there seemed to be some insinuation that gamers just don’t play FPS on PCs anymore… not entirely sure who came up with that one because it’s definitely not what I see, but in all honesty I can’t see this game being released without a PC version, it is a major game and has been under development for years and given the investment I don’t think it will be left off. The game is set in the future on a post-apocalyptic earth, the survivors of the apocalypse, saved by a being known as the traveler, now call upon a yet unknown power that seems to be connected to the traveler to defend Earth’s last remaining city. As a Guardian of the City you are tasked with destroying the hostile alien races that have taken hold before humanity is completely wiped out. You will be able to choose one of three distinct races as a Guardian: Human, Awoken, or Exo, as well as one of three classes: Hunter, Warlock, or Titan. Each race and class has it’s own unique abilities and it is the combination of a Guardian race and class that determines the kind of Guardian you will be. For more information on what the game will look like and the creative vision of Bungie take a look at the video clip below or for more information visit the official website at: www.destinythegame.com.